I haven’t written anything in a couple of months now, which is hurting my mission of this blog being the first thing that comes up when you Google my very unique name. I’ve still got to chase Spokeo and Quirky off of the first page of results, but that will come. I will take this opportunity to update y’all on happenings with the tour business (why I’ve been so busy), My Wrestlemania 31 predictions, some cool new Podcasts that I’ve been getting into, and pretty much just muse about stuff that I’ve been thinking about. Big things going on for me with the Richmond Tour Guys. First off, tour season has restarted! I finally get to give tours again. I’ve even brought on 2 guides so I can have some weekends off occasionally. One of them is a recent VCU Grad with a degree in History and the other is long time Church Hill (the oldest neighborhood in Richmond) resident who will be doing 2 tours of Church Hill per month. That reminds me, I have added a tour of Church Hill which will take place on Saturdays at 3:30 PM and Thursday evenings at 5:00 PM. I’m very excited for these as Church Hill has so much rich history share and the tour ends around a pub, so I may be able to have a pint or two with some of the more interesting tour attendees. I was also contacted by Taylor’s Classic Travels that has a trolley that they rent out for private events, wine tours, brewery tours, and weddings. They have been hired by The Brownstone and Butler’s Unique Catering to do a tour of Church Hill and are using me to guide the tours. I’m very excited to make this connection and work with Terra and Joe. If you want to buy tickets to this all-you-can-eat brunch, ride a trolley, and witness me blow your mind with my awesome tour guiding, the link is here. After I get back from visiting family and friends on the West Coast in June, I’m going to start charging for tours and see if this has legs as a full-fledged business. So if you want to come on the free tour, get it while it lasts! I’ve also had a ton of other opportunities come my way as well that I’m working on, but can’t mention yet on such a public forum….. Entrepreneur On Fire: Since the tour business has been going so well, I have decided that I need to update my business IQ. Since I have no formal business training and I am too busy to read any non-history related books since I’m writing and developing two new tours; I get it in during my morning cleansing ritual (shower, shave, getting dressed, etc.) and driving time (which I have much of) via Podcasts. Entrepreneur On Fire has given me some, as the host John Lee Dumas would put it, “mind blowing insights” into my business. Basically, he spends a half-hour interviewing various entrepreneurs about their business, how they built it, and finding out their habits. I have gained more insight into how to run, market, and view my business than I could possibly have otherwise. Ironically enough, the first one that I listened to was an interview with a guy who started Museum Hack which gives entertaining tours of museums in New York. Now I listen to the almost every podcast Lee puts out. If you are an entrepreneur, side-preneur (me! ), or want-repreneur, this is a great Podcast to check out. It has quickly risen to the top of my podcast Queue. What the Speak! : This Podcast is all about Public Speaking. Bryan Kelly interviews public speakers of all sorts and learns about their journey, which teaches me all sorts of tips and tricks. 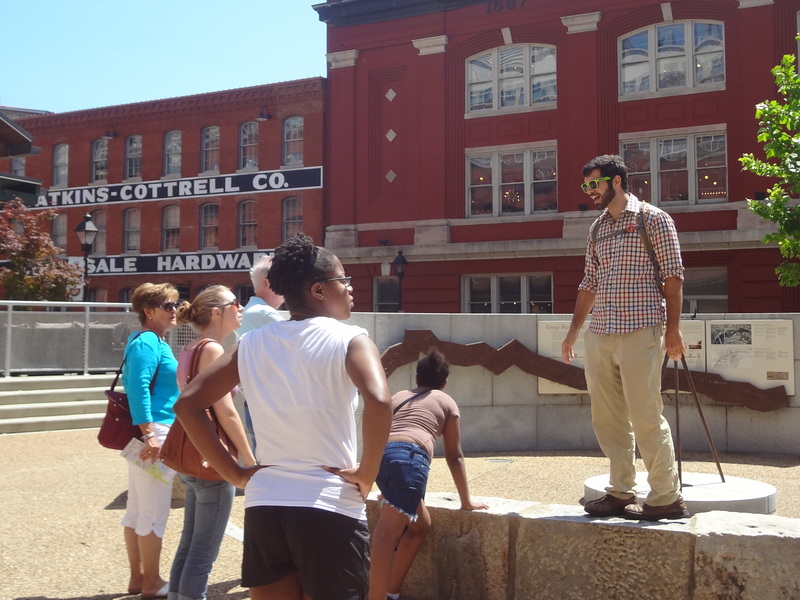 Being a Tour Guide, a lot of what I do is performance based speaking. Since I have no formal education in public speaking (other than a one semester Speech class Freshman year of college where my final project was an epic speech on the word F***) I decided to look for a podcast on the topic. One Google search later, lo and behold, What the Speak comes up. It really put what I do into perspective. Even without being able to see myself giving tours, I can already see things that I need to work on and improve. 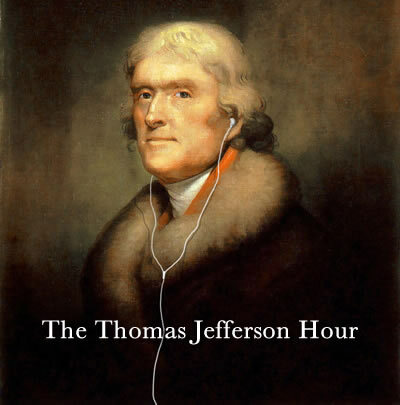 The Thomas Jefferson Hour – Switching gears, this podcast is all about the most famous of Virginians… Thomas Jefferson. Clay Jenkins, award winning Humanities Scholar and Thomas Jefferson researcher, gives in-character interviews as Thomas Jefferson to give his view. It sounds really hokey, but it is one of the most incredible podcasts that I listen to. 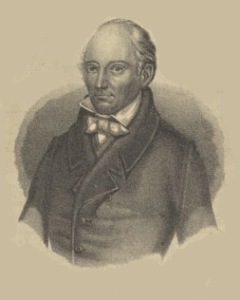 Jenkins has studied Thomas Jefferson so in depth, that he flawlessly answers questions off the cuff, citing primary sources for reference. Actually, learning about Thomas Jefferson and all that he accomplished in field literally ranging from A to Z (he even knew how to tie arteries!) will really make one feel intellectually inferior. 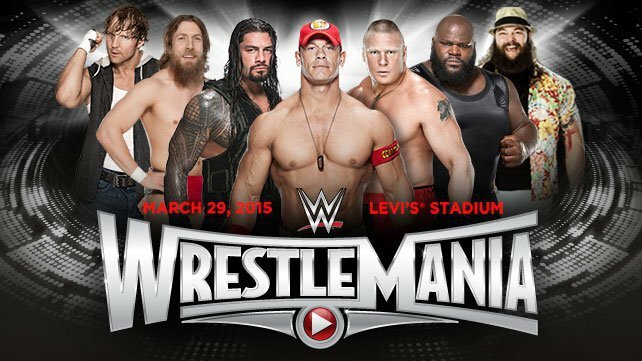 Wrestlemania 31 is coming up and I’m not super thrilled about the card. Triple H vs. Sting will be good. They are both incredible in-ring storytellers. Seeing Sting in action in front of 80,000 people again will be nuts. He’s been in small arena’s with TNA for the last 12 years. It’s hard to say who’s going to win, but my money is on Sting to fit with the Wrestlemania hero’s win narrative. The match will be very good. John Cena vs. Rusev is a feud that I have really been enjoying. There’s just something so old school and nostalgic about a Russian talking smack about the US and the hero standing up and fighting for the country he loves. (Rusev’s actually Bulgarian, but WWE doesn’t have much regard for the geographic knowledge of their audience). They had a really good match at Fastlane and I think this one will be good as well. Cena goes over for the feel good moment. Roman Reigns vs. Brock Lesnar…. eh.. the build up to this has been atrocious. I mean it’s basically Paul Heyman giving awesome promos and Roman Reigns fighting off the Authority. I like Roman Reigns, but I don’t buy him as a Wrestlemania main eventer. Not yet at least. Lesnar has officially re-signed with WWE, so I think he wins since Reigns is proving to be a non-starter for much of the WWE Universe. I still think Rollins is going to cash in Money in the Bank at WM 31. By the way, that crowd is going to be very ruthless to Roman Reigns. The Intercontinental Title Ladder Match is going to be a fun match, but there are better ways to use the guys who are going to be in it. Daniel Bryan was main-eventing Wrestlemania last year and now he’s been jammed into a match with 6 other guys who have nothing else to do on that Sunday night. The build up has been somewhat amusing, mostly thanks to R Truth’s antics, but overall it’s a real non-starter. I say Bryan captures the title in order to bring some prestige back to it. The Bellas vs. AJ and Paige is also a real non-starter, mostly because I do not like the Bella Twins. Nikki is so sloppy and unbelievable as a credible threat. Paige and AJ can wrestle circles around them. Either way, it’ a Divas match, so the WWe will probably either give them 3 minutes or just bump them when Sting/Triple H goes too long. Because that’s what WWE does to Divas at Wrestlemanias. Paige and AJ for the victory. Andre The Giant Battle Royal: Who knows? After Cesaro won last year and was summarily buried, it doesn’t feel like this Battle Royal matters as much as it did last year when it was new and could potentially be a stepping stone to greater things. I don’t rightly know who will win; or care for that matter. So…uh… let’s jut say that…uh…. Curtis Axel wins and gets pushed to the stars! Axelmania! A few months ago, I decided to watch Star Trek, the original series on Netflix. I had never watched it before and had a much different idea of what it was in my mind prior to watching it…..
Zounds! What an incredible show! I mean the production value isn’t incredible, but the messages and morals are mind blowing. Spock’s insights into humanity from a purely logical perspective and his verbal exchanges with Captain Kirk are highly entertaining. The show really makes one think about humanity and society’s faults as well as our greater qualities such as a soul and free will. Things that we take for granted are put on display in different species that lack these things. I’m almost ashamed I hadn’t given it a chance before. I’m smack dab in the middle of season 2 right now. I was at Sweetfrog by the theater the other day waiting for my beautiful girlfriend to meet me and ventured over to see what was playing and realized I had never heard of any of the movies that were playing. You see, Melanie and I cut our cable cord a year or so ago and have not looked back since. Between the internet, Netflix, and Hulu, we don’t miss anything AND we get to save money and not watch all of the commercials. The commercials we see are not the same as they are on actual TV so we never see movie previews. I’m pretty sure they’re all going to be terrible anyway. Anything that’s grandiose enough to win awards is not worth paying to see in theaters anyway when it will be out on VOD and DVD in 2 months. Light beer is disgusting. I use to drink it if it was present at a gathering. I liked it okay. I accidentally bought Yuengling Light the other day and was severely disappointed to taste that flavorless beer when I was expecting delicious Yuengling. Yuengling, for my West Coast compatriots who haven’t heard of it, is a great East Coast beer. It’s like a step above Bud/Coors/Miller in terms of taste and maybe $1 more expensive for a 6-pack, but not quite as expensive or heavy as craft brews. I had never actually heard of Yuengling until I moved to the East Coast, because apparently it isn’t distributed West of the Mississippi. It is the oldest brewery in the country, by the way. I want to have a Podcast in the worst way…. soon…..